Us 27 to Hwy 154 to Burns Road. 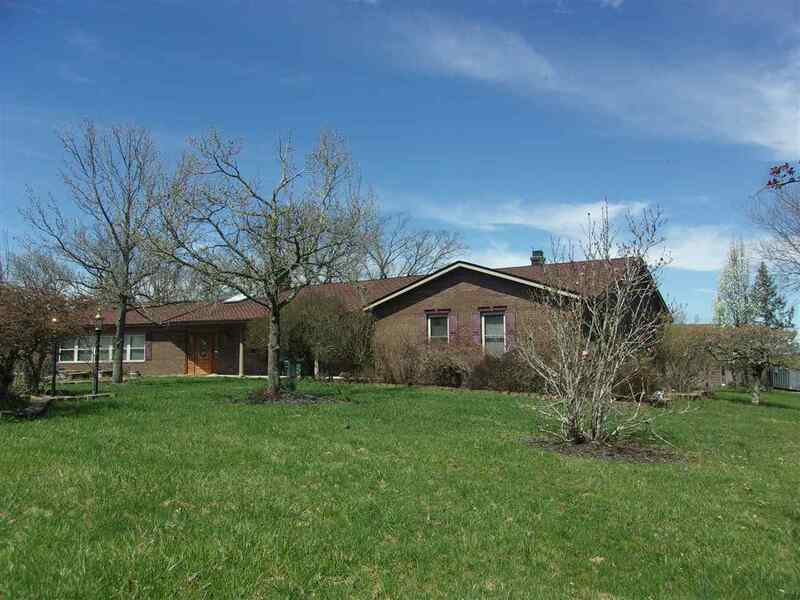 Lovely brick ranch boasts tiled flooring, newer shaker style roof, mostly finished basement, covered rear patio and over 67 acres of fresh country air with 2 ponds! Double sided fireplace, recessed lighting, loads of storage space, nice floor plan, bonus room where garage was, and more!! Basement has a bar, booth style seating, large & open for gaming areas, half bath, extra room used as a 3rd bedroom. Detached barn/garage/workshop is included with garage door, upper level storage and tool room. Sets back off the main road with private gated driveway. Great layout! Make an offer!